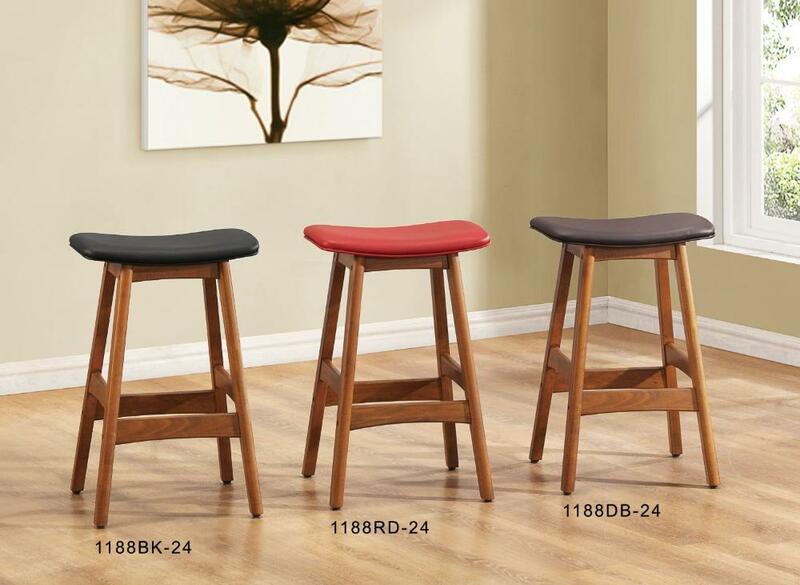 Available in black, red and dark brown bi-cast vinyl, the 24 inch saddle-seat counter height stools, will provide the extra needed seats for unexpected guests. Each finish option sold in pairs only. FEATURES: Black / Red / Dark Brown Color ~ Contemporary Style ~ Bi-Cast Vinyl Cover ~ Foot Rest ~ Wood Base.